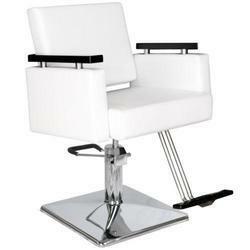 Pioneers in the industry, we offer pink salon chair, hydraulic salon chair, makeup chair, black salon chair, white salon chair and white comfortable salon chair from India. Material HIgh Quality PU Foam ISI Mark 12 mm Plywood. Steel Chrome base. 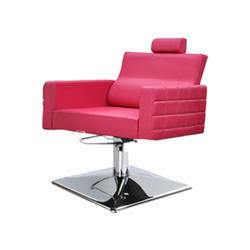 We are successfully meeting the requirements of our clients by offering the best quality range of Pink Salon Chair. 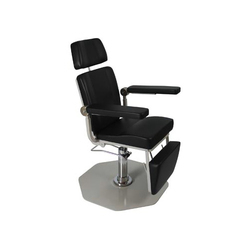 This amazing chair has shining chrome base with stainless steel handle, adjustable back, 360 degree rotation, hydraulic height adjustment. 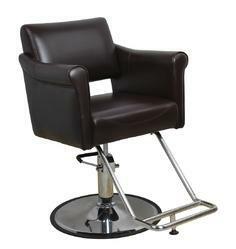 Suitable for ladies parlor, mens salon, unisex salon. Warranty of hydraulic pump is of one year. 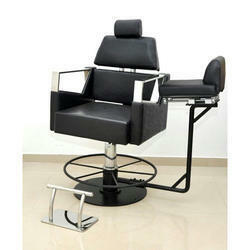 Patent applied Worlds first Makeup Chair on which hair styler can sit along with client & work easily and comfortably. 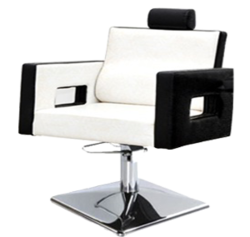 This beautifully designed chair has shining chrome base with dynamic black & white combination, adjustable back, 360 degree rotation, hydraulic height adjustment. 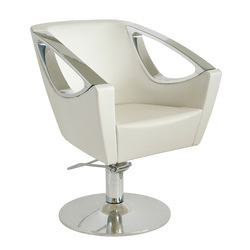 Suitable for ladies parlor, mens salon, unisex salon. 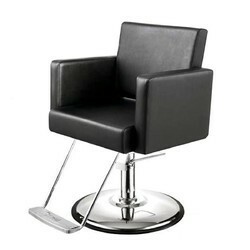 This amazing chair has shining chrome base with wooden handle, adjustable back, 360 degree rotation, hydraulic height adjustment. 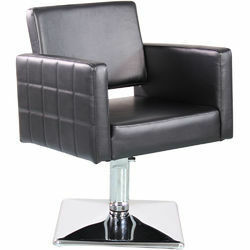 Suitable for ladies parlor, mens salon, unisex salon. Warranty of hydraulic pump is of one year. 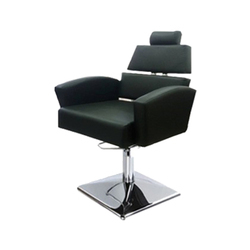 We are a trustworthy organization in the market, actively engrossed in offering a wide gamut of Men Salon Chair. 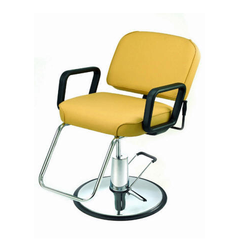 This Yellow Salon Chair is our patent applied product under PCT. 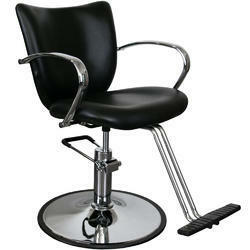 worlds first salon chair on which a hair styler can sit along with his client and work easily and comfortably. 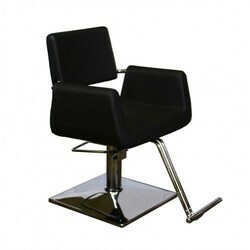 We are successfully meeting the requirements of our clients by offering the best quality range of Designer Salon Chair. 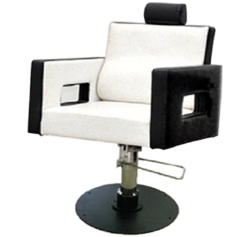 This Adjustable Salon Chair beautifully designed chair has shining chrome base with dynamic black & white combination, adjustable back, 360 degree rotation, hydraulic height adjustment. Suitable for ladies parlor, mens salon, unisex salon. 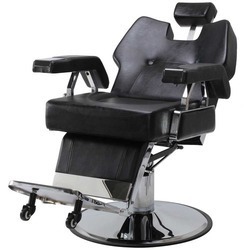 This Unisex Salon Chair is the most stylish chair has shining chrome base with stainless steel handle also have half cut back beneficial for ladies parlor & unisex salon, adjustable back, 360 degree rotation, hydraulic height adjustment. Suitable for ladies parlor, men. 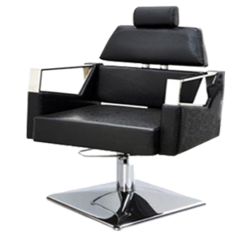 Riding on unfathomable volumes of industrial expertise, we are engaged in offering a broad assortment of Barber Salon Chair. 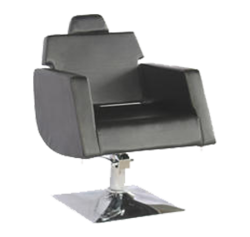 This Comfortable Salon Chair has heavy base of 32 Kg & height booster of 4 inches, adjustable back, 360 degree rotation, hydraulic height adjustment. 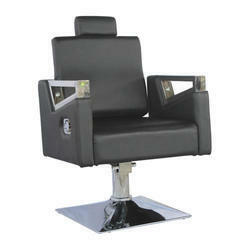 Suitable for ladies parlor, mens salon. 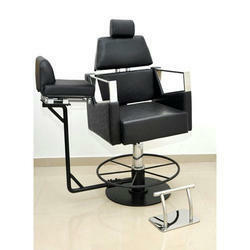 We are ranked amongst the trusted firms engaged in providing a wide range of Beauty Salon Chair. 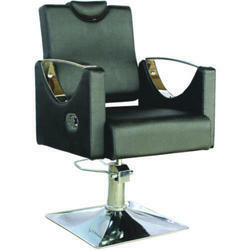 Looking for Salon Chair ?